This is a savory gift basket to be enjoyed by family or friends in Brazil. 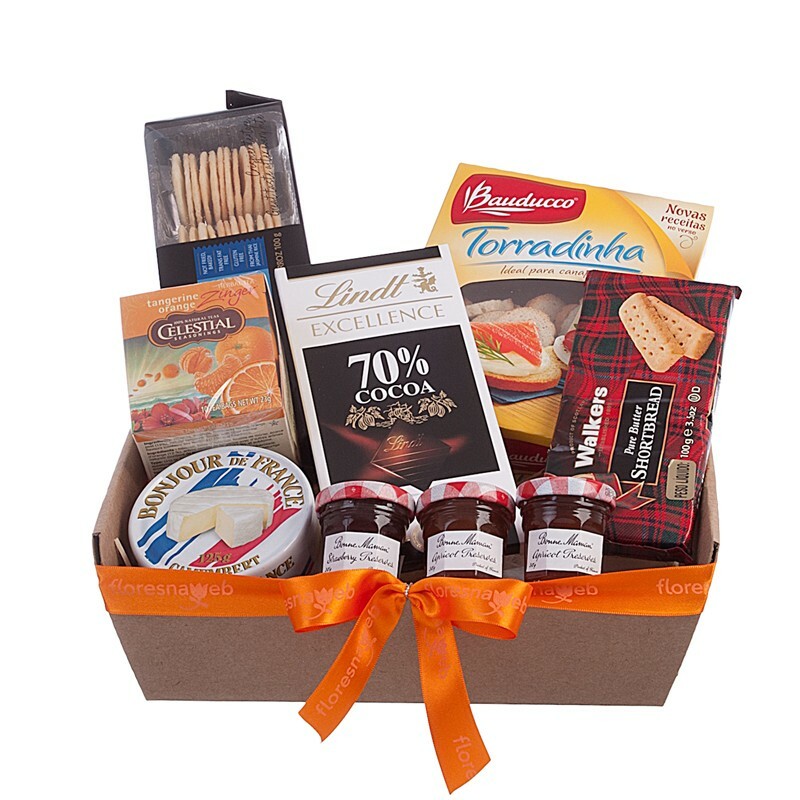 The Gourmet Treats Gift Basket includes brie or camembert cheese ,Walkers Shortbread, Lindt dark Chocolate, three Bonne Maman jams, melba toasts and delicious crackers. Perfect gift that makes any day turn into a special day.